Dry January, Veganuary, quitting smoking, going sugar free . . . the new year is a time for resolutions and vowing to cut down on all those things that you know are bad for you. For many of us that includes spending less hours disappearing into our smartphone screens which can negatively impact our productivity, leave us with less time to do the things we love and keep us from really connecting with those around us. Have a look at Shine Offline’s Top Tips for simple but effective ways of managing your relationship with the tech in your life. We say simple . . . but from our own experience we know overcoming tech addiction is not easy and changing deeply ingrained habits and behaviours takes patience and perseverance. Ironic though it sounds, if you struggle with self-discipline you might find the best solution is an app. If your smartphone habits are affecting your productivity it is worth looking at the Pomodoro technique. 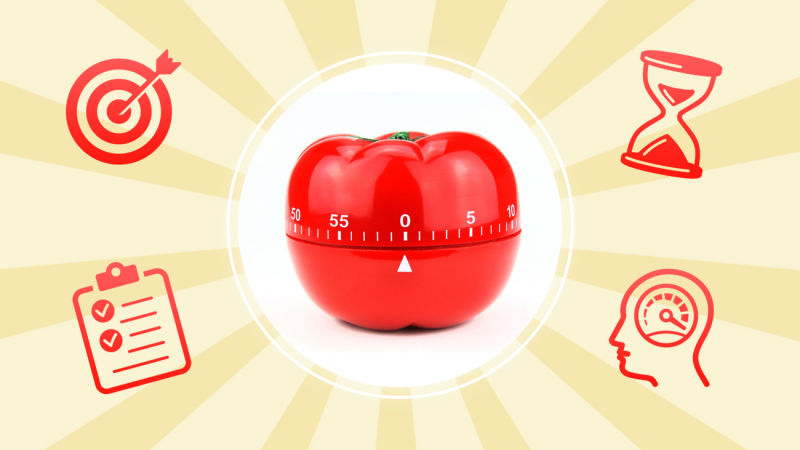 This time management tool predates mobile technology and was invented in the 80’s by Italian student Francesco Cirillo who used his Pomodoro tomato kitchen timer to set himself 25 minutes of focus free study time before taking a 5-minute break. This kept internal and external distractions at bay and helped him stay refreshed and not fatigued. We use this technique in the office using a Pomodoro Chrome extension but there are dozens of Pomodoro apps on your phone to help you do this. We like the Goodtime productivity timer. This technique requires you to challenge yourself to stay off your phone, out of your inbox and focused on the allotted task. No excuses. If your lack of self-control stops you from rising to the challenge, or you find yourself unconsciously and habitually drawn to your device there are a variety of apps that can help. One of our favourites that does things a little differently is Forest. Forest challenges you to ‘put down your phone and focus on what is important in your life’. It works by encouraging you to resist temptation and take periods of abstinence from your phone. You plant a tree in the app that starts as a little sapling. It will keep growing on your screen as long as you ignore your phone for the allotted time. If you cave in the tree withers and dies. Your trees make up a forest that becomes more varied and more lush the more trees you plant. You can view this forest in the app along with the stats on your focused phone free time! It’s a great one if you like to play games on your phone: think of an arboreal Tamagotchi in reverse. The more trees you grow, the more credit you build that you can use to unlock different species of tree (I am currently working towards a cherry blossom – only 46 credits to go!). The app also lets you pay with credits earned to plant real trees to help the environment. Amazing. The reason this app is so clever is it makes you care. ‘This will kill your cute, little tree. Are you sure you want to give up?’ it asks if you go to quit the application. Awwwwww, who needs cat videos anyway? Offtime promises to let you ‘focus and find digital balance in a hyperconnected world’. Very simple but clever and effective, this app enables users to block everything that distracts them from whatever it is they are trying to focus on. For a chosen period Offtime filters the apps on the smartphone, be it Facebook, gaming apps, emails, anything that you find distracting. Crucially you can customise this to suit you and can block calls, texts and notifications that might disturb you but still select the people who you want to get through such as an important client, your elderly parent or childminder. Like many apps out there it can also provide you with the intuitive analytics of your phone usage, enabling you to identify habits and learn what you are doing, when and for how long. You can schedule your Offtime for certain times every day, for example to close down access between 10.00pm and 8.00am to stop that late-night Instagram habit and start the day without interruption from the outside world! Like all apps that block access to your phone you can of course override this but you’ll be gently teased and encouraged to stick it out. If you like it when your apps have just a little bit of personality this is the perfect app for you. Should you still wish to quit then you have to wait for a one minute count down before access is restored in case you should change your mind. I absolutely love this app for protecting quality time with my family and friends and also focusing at work. I think of it like someone removing the cookie jar from the kitchen unit and locking it in the garage. Yeah sure the cookies are still there if you really want one, but you can’t suddenly find yourself mindlessly stuffing your face. You’ll have to go through some effort and battle with your conscience to get one. And without access to those cookies all the time . . . you’ll start to forget they are there! I’m going to say it. Unroll.me has changed my working life. It has tamed my shouty inbox. This free service is ideal if part of your problem with your smartphone usage or being distracted at work is constant interruptions from your email. You do know you can turn off those notifications right?! But that aside, I would recommend Unroll.me to everyone. It enables you to unsubscribe from unwanted newsletters and sign ups in bulk. But much more than that it also organises those emails that you do wish to keep, including social media notifications and other automated mail, so that they are either still delivered in real time to your inbox or ‘rolled up’ and delivered in a single, easy to view email at the time of day of your choosing. I was amazed when I started using this, firstly by how many newsletters and subscriptions I had inadvertently signed up to along the years, but also how quiet my inbox became and the realisation of how distracting it had actually been. Pocket is a fantastic offline reading tool which allows you to take any articles you find online and save them in an accessible way so that they are ready to read when you are, even without wifi. By saving content to read offline at a more suitable time you reduce the likelihood of falling down the rabbit hole of internet browsing and stopping you from what you really should or want to be doing. At Shine Offline we empower people to recognise the impact of distractions caused by smartphones and other technology on their wellbeing and productivity and to acknowledge the importance of allowing the mind to rest, rejuvenate and refocus.